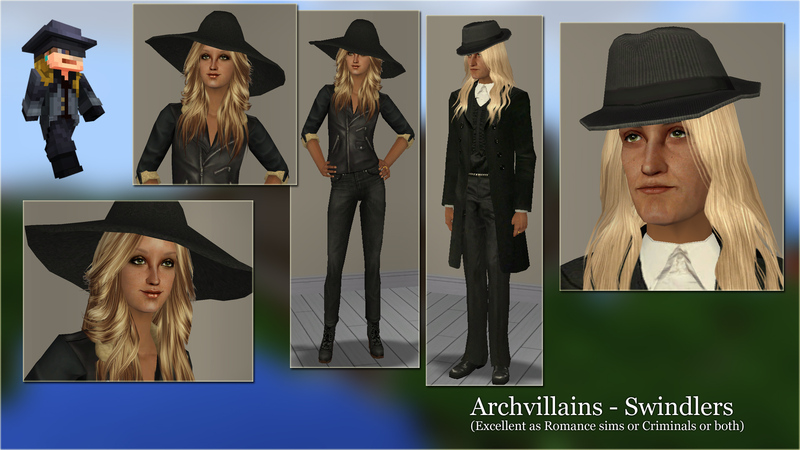 I have a whole bunch of new sims for you today. 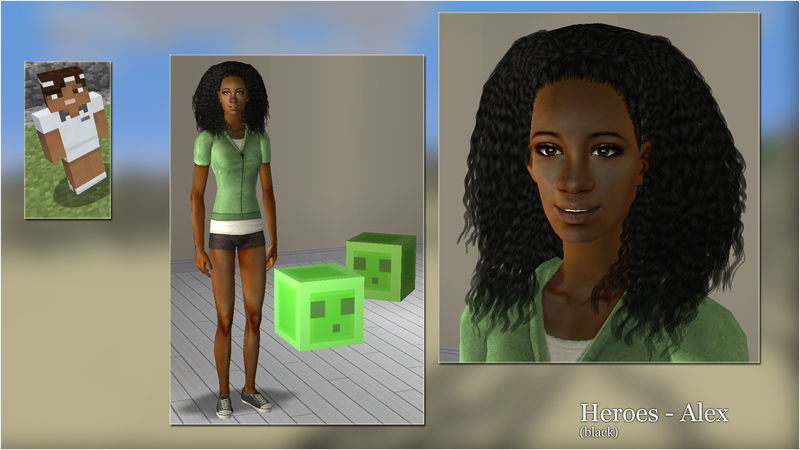 If you love both Sims 2 and Minecraft, this is the set for you. Each sim has a lot of CC, all included! 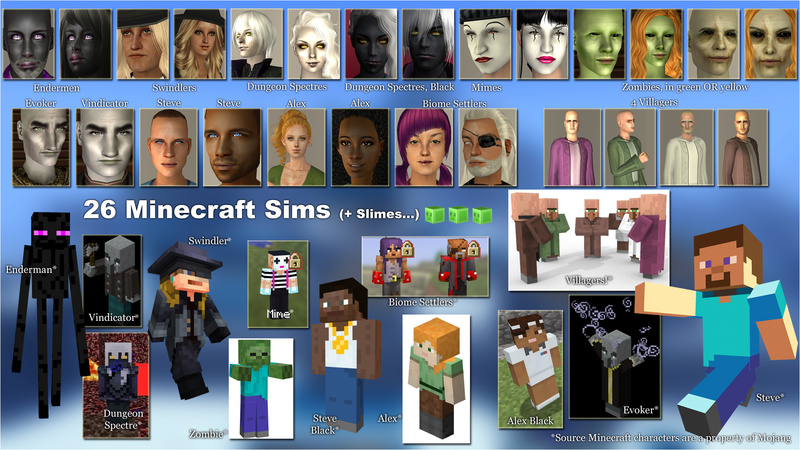 I made sims after a wide variety of little skins you can use for your character when you play the game Minecraft. 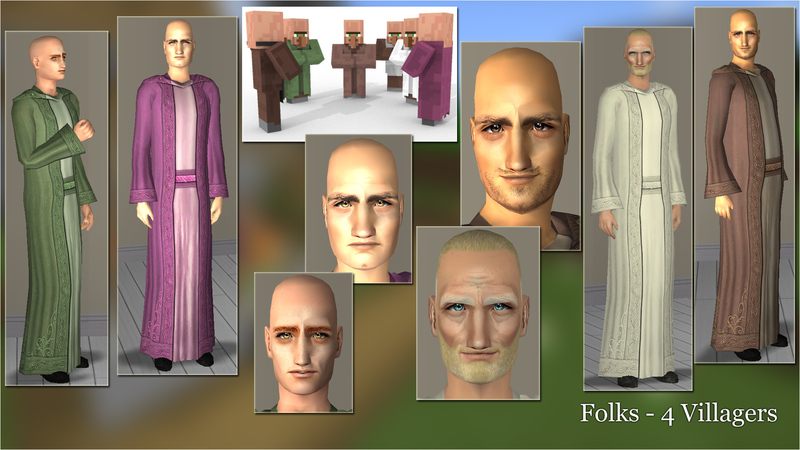 People use these skins to differentiate from each other and as a form of avatar which represents them better than the default characters. When you play in public games, worldwide, if everyone was Steve/Alex, you would have a hard time identifying your friends from the people you don't know, and you wouldn't be very special. That being said, I still included both Steve and Alex in this set. 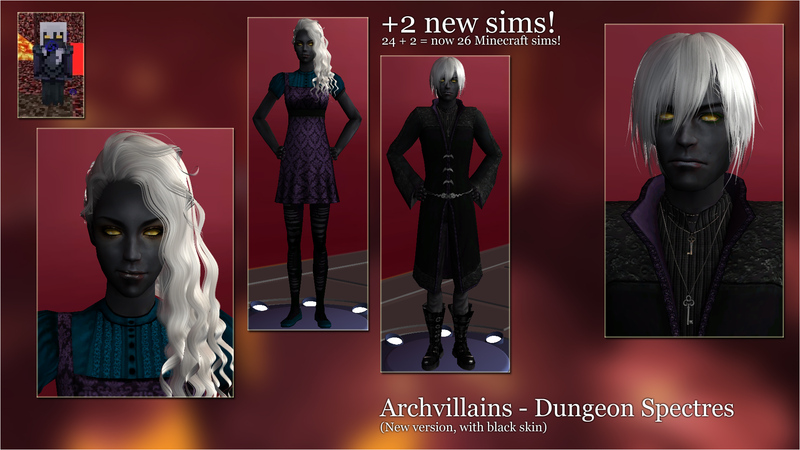 The Dungeon Spectres also exist with black skin. 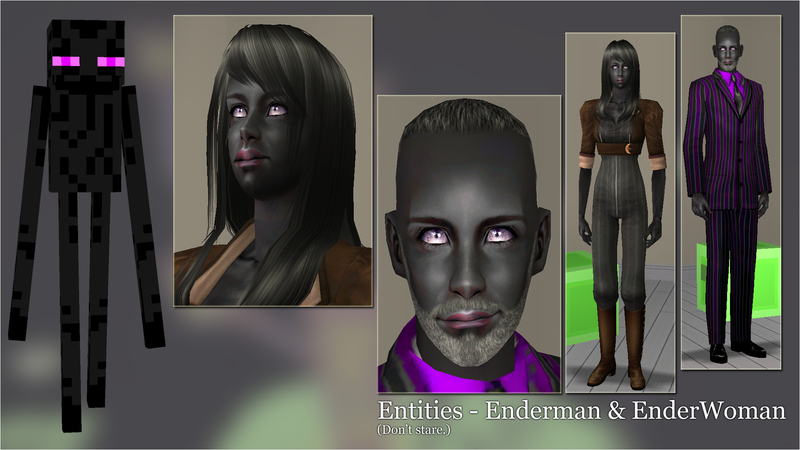 I joined Bodyshop pictures for them - I didn't think it was worth taking in-game pictures as everything on those sims is the exact same as on the previous version except the skintone, and the Enderman/Enderwoman pictures already display that skintone. ...and some Slimes as furniture! Along with the sims, you have a little set of Table + Chair + Deco, all made to look like Minecraft Slime Cubes. The Table can be found in the Surface/Tables category, at the price of 25 Simoleons. The Chair can be found in the Comfort/Kitchen chairs category, at the price of 25 Simoleons too. 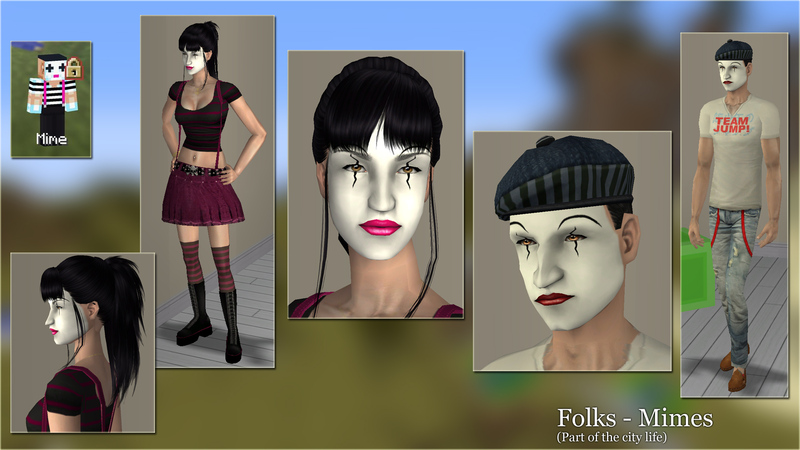 The Deco can be found in the Decorative/Sculptures category, at the price of 25 Simoleons as well. They are all recolors of RealGanacampo's crate and can be found as recolors, hidden behind the normal crate in the catalog. 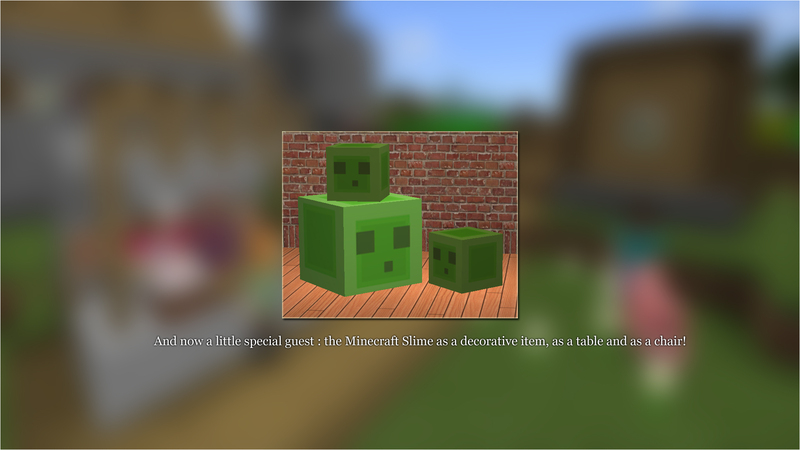 The meshes for the Slime Furniture are not included, Get the MESHES here. Minecraft is a sandbox video game released in 2011, developed by Swedish Markus Persson, aka Notch, and then by the Mojang Development Studio. 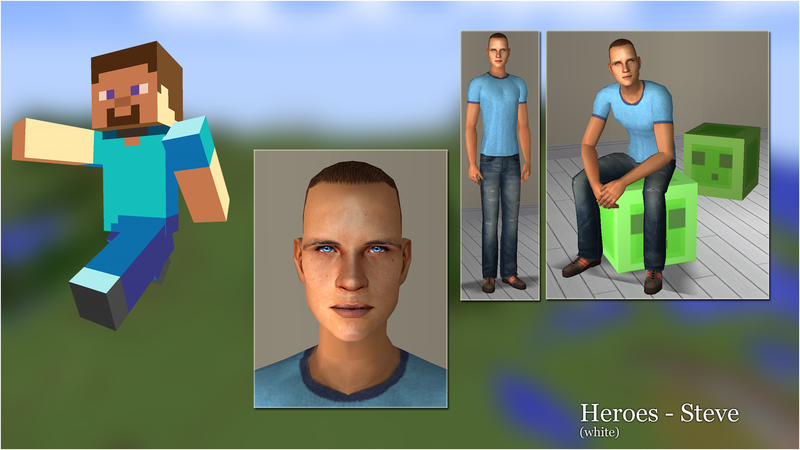 This video game immerses the player in a universe randomly generated and composed of voxels. The voxel (contraction of "volume" and "element") is a pixel in 3D. It consists in storing a colorimetric information with its spatial or even temporal positioning coordinates as well as, optionally, a size relative to the unit used or other information such as a material. Each sim has a lot of CC, all included! **If anything doesn't show up properly in your game, just check my list of Credits at the end of this post, the makers of the content are all listed there, you can find and redownload the original content from them. ^ 3rd Most popular! 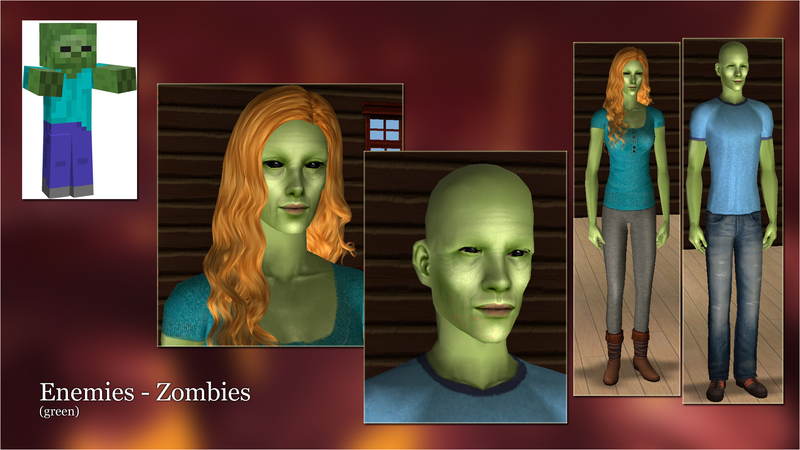 And they look better - and stranger - than your local aliens. 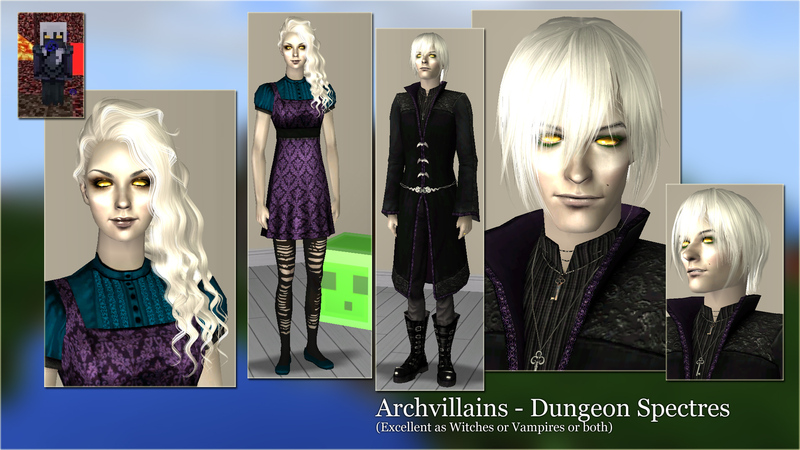 ^ Ah, the villagers. And these will not ask you 20 emeralds for a name tag. 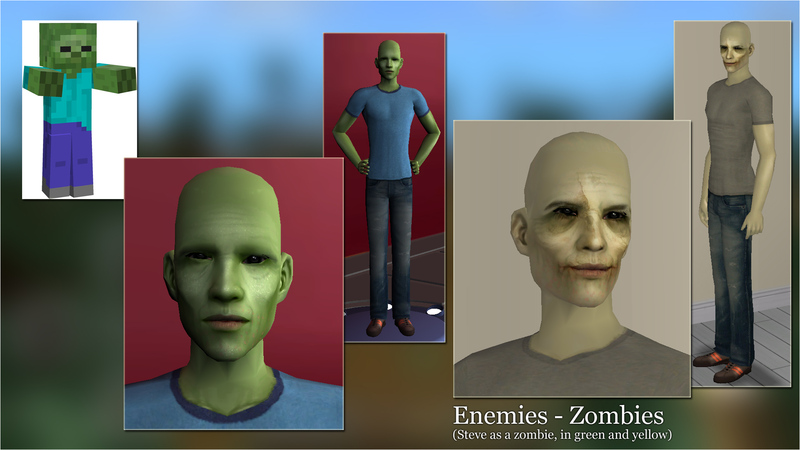 ^ The ugly zombies. These will not drop carrots nor potatoes but they can make you breakfast. ^ These did not see the light of day in a long time. They will greet you with savagery... or maybe they'll just wave. Sul sul! ^ Nobody knows who they are. Street entertainers? VIP? Robots? Why do they always have that make up on? Why? 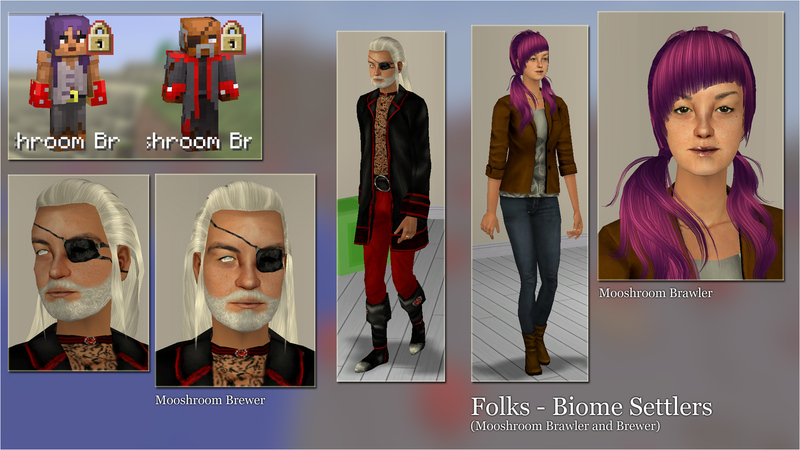 ^ Awesome as traveling shopkeepers or pub owners. Great adventurers, too! Their everyday life is never boring. Keep them on the move! ^ They do it for the money. Grand larceny, espionage, kidnappings, murders. They could stretch the fun and go serial, too. ^ Slimes! But these will not jump around your house all night. Or will they? 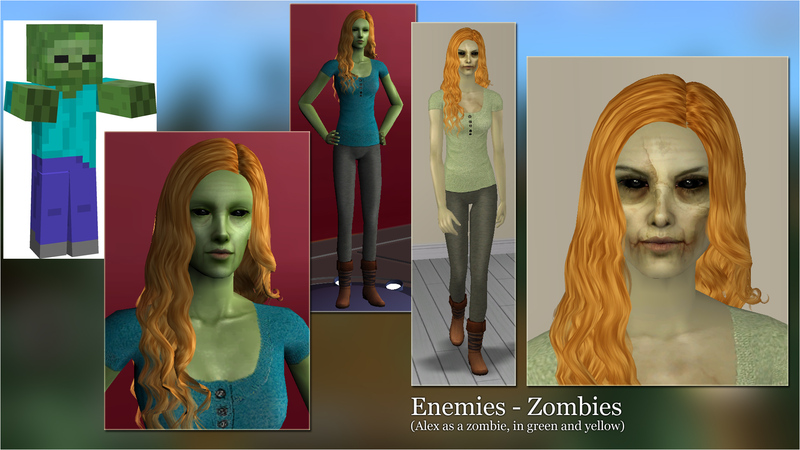 Credits : All the CC is included on all the sims. All permissions have been verified - BIG THANK YOU TO ALL CREATORS INVOLVED! 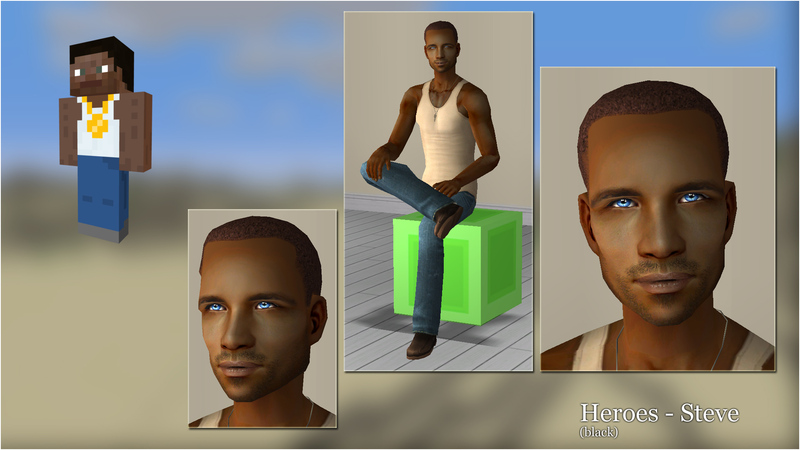 All the face sculpts are by me, based on my previous sims. *All the links here link to the items, not the creators, as required. 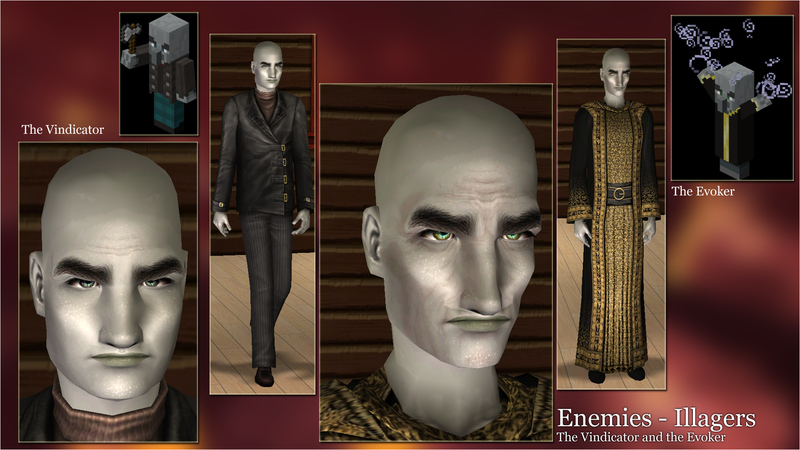 Vindicator - Apartment Life REQUIRED for this one! Thanks MTS for the Picked Upload! Get Rahan, Son of Dark Ages!